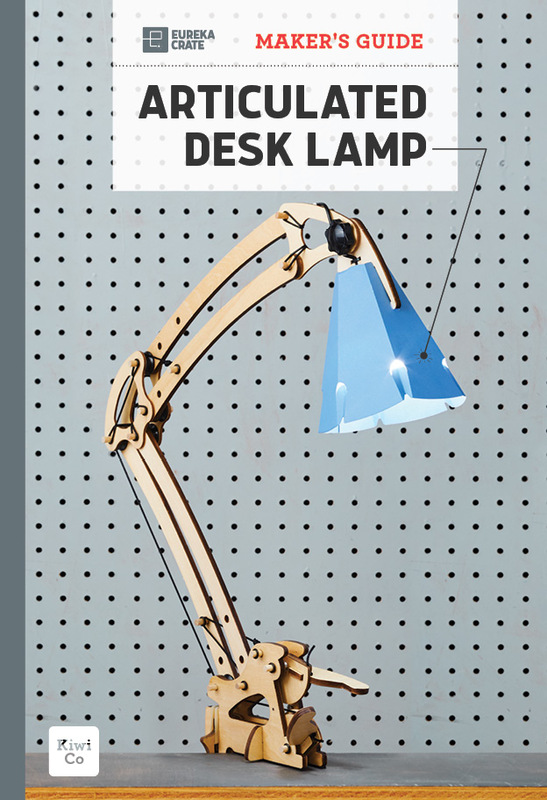 Engineer a cool cantilevered lamp that uses pulleys and springs to make it perfectly adjustable, and explore mechanical equilibrium and materials science. Comes with an energy-friendly LED bulb and three lampshade color options. 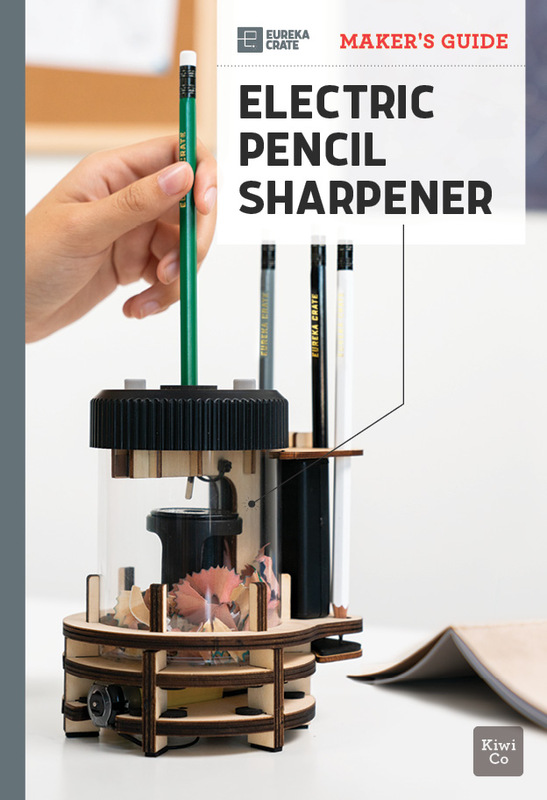 Wire up an electromechanical pencil sharpener with automatic pencil detection, and explore electric motors and torque. Comes with a pencil set and notebook to jot down your ideas and inventions. 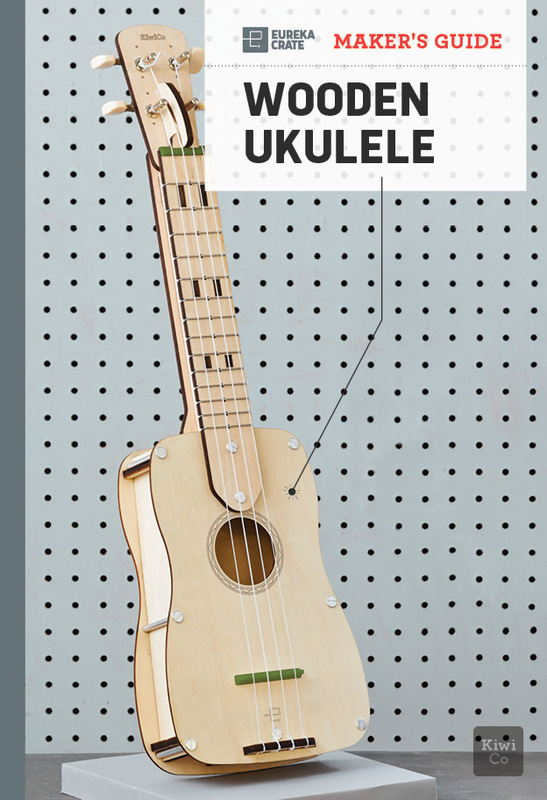 Build a real four-string concert ukulele and explore the science of sound waves. Discover the design history of this classic Hawaiian instrument and learn to play some sweet tunes. Everything needed to build, explore, and learn—delivered. Engineer solutions to real-world problems and build problem-solving skills. Explore how science, technology, and engineering shape our world. Create real, functional objects that you’ll love to use every day. Use it again and again! Find age-appropriate projects that make learning about STEAM fun! You can switch brands at any time! Choose your subscription length and the first crate will ship within 2 days. Kids of all ages love receiving mail! Your child will tackle new projects that build their creative confidence. Eureka Crate was inspired by a belief that innovators have the power to change the world. Our crates are designed to inspire kids (and kids at heart) to think about the design and engineering behind the objects all around them. With that lens on the world, kids can understand — and start to question — why things are the way they are — and how they might be made better. Each Eureka Crate starts with building an object with real and lasting utility. This provides a hands-on lesson in the creative and purposeful application of science and engineering principals in order to solve a real-world problem. Then, by connecting their project to the design history behind it, kids can see themselves as part of an ongoing story of invention — and build the creative confidence to write the next chapter. We’re grateful to play a part in helping you raise — or become — a creative innovator! Eureka Crate teaches kids (and kids at heart!) how to apply principles of science and math to make awesome things you will love to use everyday - from an articulated desk lamp to an electric pencil sharpener to a wooden ukulele. These crates apply science and math principles to the design of everyday items. We provide a blueprint for creative solutions to real world problems and needs. Young engineers, armed with critical thinking and problem solving skills, gain an appreciation for the design process and take pride in making something with real utility. Which line is appropriate for my child? Tadpole delivers information, inspiration, and products that support healthy development and lifelong learning for children ages 0-2. Koala encourages play based learning for kids ages 3-4. Kiwi was designed specifically for children ages 5-8 and includes science activities, arts and crafts, imaginative play and more. Atlas inspires appreciation for other world cultures and encourages kids ages 6-11 to act as global citizens. Doodle builds confidence and creativity in kids ages 9-16+. Tinker encourages hands on learning and experimentation in science and engineering for kids ages 9-16+. Eureka guides budding engineers ages 14-104 to appreciate the science and math principles, along with the design process, of everyday items. We take a lot of care to design our crates in a way that is open-ended so that although children across the age range may have different outcomes, they will all enjoy interacting with the projects and materials. Choose the line that most appropriately fits your child, and remember that you can switch lines at any time. How are the crates designed? Eureka Crate is designed by our team of in house experts, which include former educators, makers, engineers, and rocket scientists (yes, for real). Additionally, every crate theme is rigorously tested with users to ensure that projects are engaging, fun and universally appealing, and to ensure that the instructions are clear and easy to understand. We go through this design process every month to ensure that your child has the most innovative projects delivered right to your doorstep. Subscription crates ship anywhere in the United States, including Hawaii, Alaska, and APO addresses. Shipping is free in the U.S.
Outside of the U.S.? Find out about our international shipping options here. Can I give Eureka Crate as a gift? Yes, Eureka Crate makes a wonderful gift! When you purchase you can select that it is a gift and have the opportunity to write a gift message (optional). Additionally, we include a message with the first crate that lets the recipient know they have been gifted an Eureka Crate subscription of either 1, 3, 6, or 12 months so they know how many crates they will be receiving. You can choose to have the first crate sent to your address, so you can present it in person and then have the subsequent crates sent directly to the gift recipient. Of course, you can also choose to have all of the crates sent to the gift recipient. Either way, your gift will be enjoyed for months to come! We will try to ship the first crate of a new subscription within 2-3 business days of purchase (U.S. only), unless the recipient already has an active subscription. We consolidate Canadian orders to two shipments per month. Afterwards, crates will continue to ship every month for the duration of your subscription. Customers can check the status of shipments on your My Account page once a crate has shipped. We hate to see you go, but you can cancel a monthly subscription anytime after the first crate ships by using our online "manage subscription" tool. Auto-renewing subscriptions (pay every 3, 6 or 12 months) are only eligible for cancellation after the initial prepaid term has been completed. No commitment, switch lines anytime. Kids love to receive mail! Customize the box with a name. We remembered the subscription for this child! Want to send this subscription to a different address? Our crates are designed with experts to grow with your child! We expect to have crates for your in . We expect to have crates for your child in late 2019. Sign up to receive updates and we'll email you when they're available. Save and add another to this address? Store items are currently only available for delivery within the U.S. But you can still get awesome hands-on STEAM projects delivered to your country when you get a subscription. We have something for every age!